Miniaturization is a top priority of all advanced sensor and electronics technology manufacturers. Whether it is an automotive application, a connectivity device, or an appliance, consumers are looking for smaller, lightweight products with advanced features. 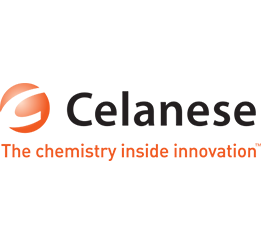 With this objective in mind, Celanese, Mold Craft, Sodick, and LPKF have teamed together demonstrating the innovative value propositions that exist for device manufacturers when choosing these industry-leading experts as partners for their sensor design and manufacturing needs. Micro Thin Walled Part: With the shear-loving, low viscosity Vectra® LCP in combination with precise shot to shot control of a Sodick micro injection molding machine, micro thin walled parts are able to be produced with incredible repeatability, accuracy, and precision. Molded Micro Through Holes: Fifty .007” X .007” through holes molded directly into the part. With Mold Craft’s ability to design for manufacturing capabilities, mold design standards and precision machining ability, very delicate and intricate features can be molded right into the part, without the worry of the part flashing. No business card would be complete without a way to contact us and learn more. What better way to find out more about our four companies than to use your phone to scan the Custom QR Code, created directly on the part with the amazing technologies we have to offer our customers. The incredible precision of Mold Craft’s machining allows mold insert and final part radii to be as small as .002” without the use of multiple inserts to create a “sharp” corner. By combining Celanese’s High Performance Vectra® LCP (Liquid Crystal Polymer) and LPKF’s LDS (Laser Direct Structuring) Process, complex circuits can be placed directly unto the part, with the ability to solder directly on the circuit without damaging the plastic itself. 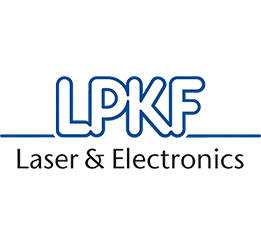 LPKF’s LDS (Laser Direct Structuring) process allows for laser activating angled through holes, that allow complete complex circuits to be created on opposing structures. Mold Craft created this small, thin-walled part with different surface finishes, special cavity inserts, and very tight tolerances. This part demonstrates Mold Craft’s Design for Manufacturing (DFM) capabilities, small pitch features within the cavity and ability to maintain tolerances as tight as ±.0001” resulting in crisp detail and interchangeable cavity inserts. Celanese is a leading global supplier of high-performance engineering polymers designed to drive growth and innovation across all industries. Celanese Vectra® LCP is the ideal material for compact, intricate, thin-wall designs, such as this. The excellent flowability, dimensional stability, and fast cycle times will be proven during the on-site molding at NPE 2015. Sodick’s LP20H3 micro injection molding machine has been engineered to be the most precise machine on the market, using a two-stage plunger injection unit without a check ring and a true hybrid precision clamping mechanism. Sodick will use robotics to unload molded parts from the machine on the NPE 2015 show floor. LPKF, USA engineered the feature-rich design of complex circuitry on the part. Using Laser Direct Structuring (LDS), the plastic is processed with a laser and then electroless copper plated just in those areas excited by the laser, called metallization. Mold Craft showed and demonstrated the mold for a complex part simulating a medical device cover; we called a Vented Processor Housing. We exhibited Mold Craft cutting edge expertise that goes into creating industry leading plastic “smart parts”. Please send an email to jaliddell@mold-craft.com to request a sample of this complex MID part. ©2017 Mold Craft, Inc. All Rights Reserved. Web Design + Development by MVP Marketing + Design, Inc.